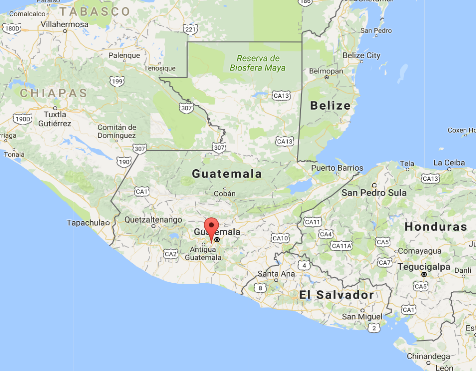 According to the foundation, Guatemala suffers from a level of inequality and widespread poverty that is extreme even within Latin America. Families struggle to provide basic needs for their families. 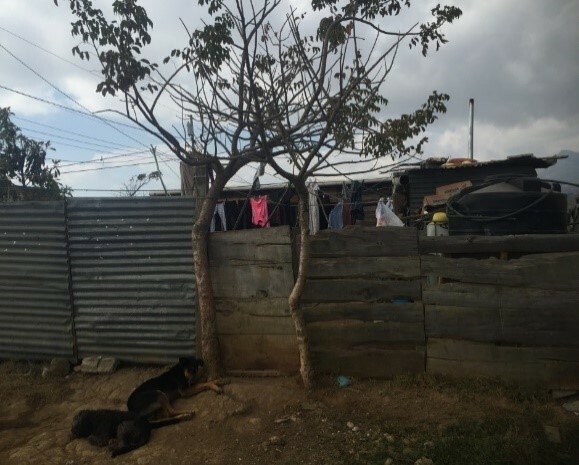 Many homes are made of scavenged materials with dirt floors, no toilets or running water. Access to quality health care and housing is also scarce. 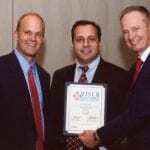 As the only endodontist to ever participate in the program, I was curious as to what I would find. What I did find over the next several days would be both challenging and wonderfully rewarding. The first morning we left our hotel in Antigua with the other dentists and their families. The journey was long and took us over mountainous and windy roads. 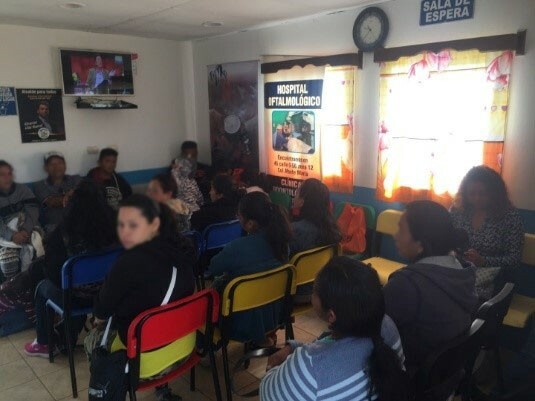 After almost an hour of travel the pavement gave way to a dirt road that brought us to the top of a hill and the small three building dental clinic. 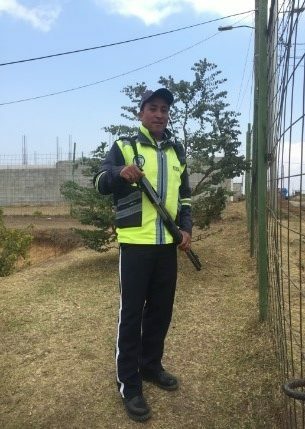 As we approached the clinic we were first greeted by a guard with a small hand held shot gun for security. In the first building there was a room full of patients. As we entered they all turned and stared to see who had come to help them. 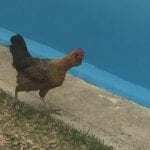 Walking by the middle building we were greeted by a chicken who was also curious to see who had arrived. 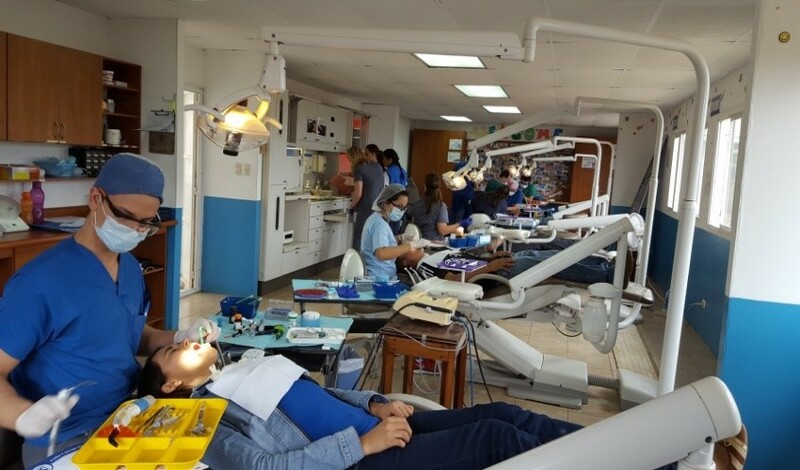 The dental clinic contained five new ADEC chairs donated by Patterson Dental. There was a director, an administrator and a resident dentist. 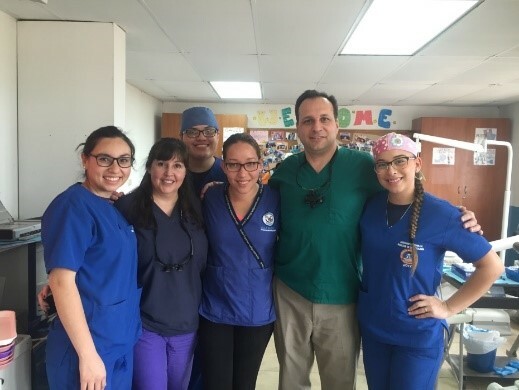 A group of four dental students had come to help from the dental school in Guatamala City. Although supplies were limited, we learned to make do with what we had. The endodontic equipment was in a small basket and not often used. There were some Protaper files and hand K files. The hand piece motor was working but would stall or get stuck in the root canal space. It required a special experienced touch to keep it working. The apex locator was a nice surprise but it required some repair. A pair of loops with head light sufficed to replace the endodontic microscope I use in my office. There were no rubber dams on the first day, so we improvised and stretched gloves over the rubber dam frame. Fortunately the next day the rubber dams arrived. The x-ray system consisted of a Nomad unit. It was connected to a single computer that was also used to run patient software. Since the Nomad was often unavailable, we relied on the apex locator instead of working and intermediate radiographs. The only way to obturate the canal system was to use lateral condensation removing the excess by heating the end of an old instrument with a cigarette lighter. This is a technique I used in dental school over twenty six years ago proving it pays to always know the basics. Since no endodontist had come before me, multi rooted endodontics was not done. People would be referred to the dental school but often they could not go and extraction became their only option. Even though it was a bit of a stretch to do calcified molars with the limited set up, as the days went by we became efficient at improvising endodontic treatment. 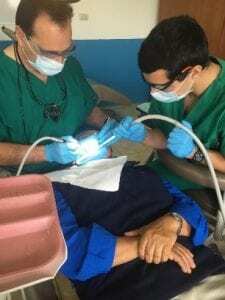 We were able to treat many people, saving their teeth to improve function and health. 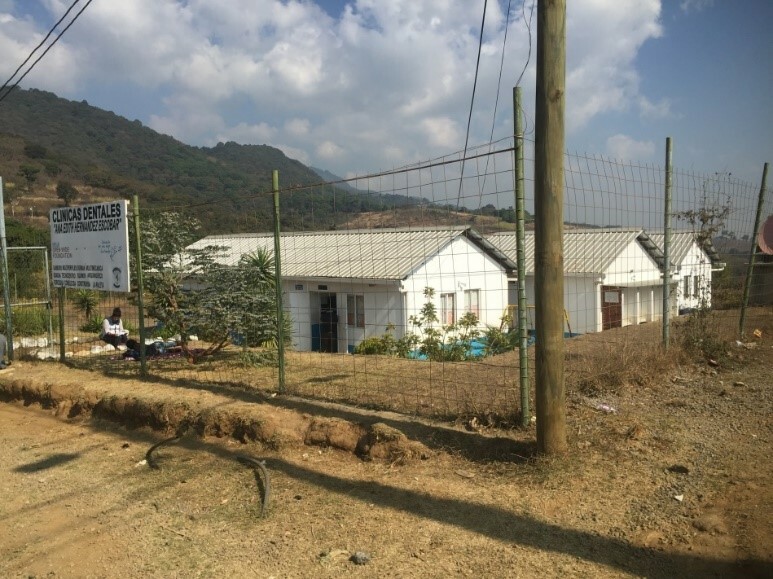 Although the facility was well run and properly supplied due to generous donations from the foundation and volunteers, specialized dental procedures such as advanced endodontic treatment was limited. 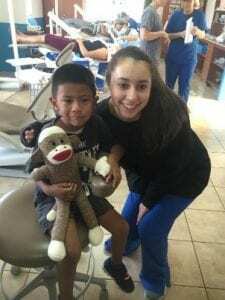 What was not limited was the kindness and care of the resident doctor, administrator, auxiliary staff and visiting dental students. As we ended our time at the clinic, we all reflected on the warmth and gratitude we felt from the people we had met. 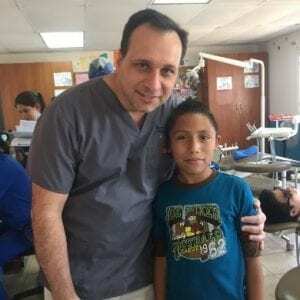 Using your education and training to help improve the oral health of those who otherwise would have few alternatives is a wonderful experience. It was a privilege we will cherish forever. I’m here with a young patient. My daughter Valerie handing out the toys we had brought from home.